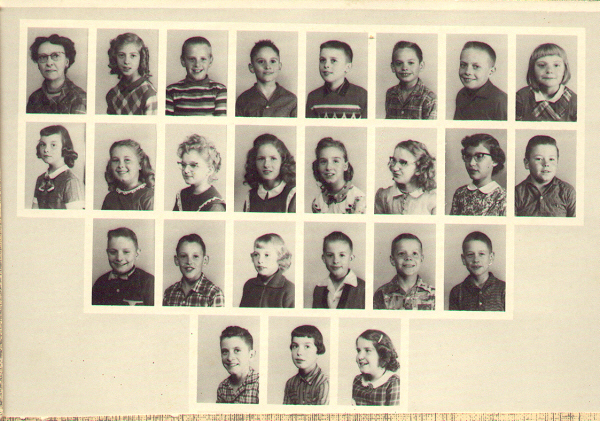 First Row: Miss Jesse Turley, Sheila Yowell, Roger Shull, Todd Singley, Lynn Hagan, Terry Fulk, Lyle Fout, Rebecca Bradley. Second Row: Cheryl Waddell, Kathy Prather, Pam Weckle, Nancy Mason, Vicky Lobb, Joyce Birdwell, Laurel Cross, Kit (Christopher) Prather (twin to Kathy). Third Row: Eddie Yocum, Roger Shehorn, Pam Scroggin, Danny Boyd, Stephen Burtche, Harry Hild. Fourth Row: Eddie Koehler, Sara McGee, Leslie Thornton.